PA Spokesman: We're considering taking steps in response to Israel’s decision to accelerate construction and freeze taxes. Palestinian Authority Spokesman Nabil Abu Rudeineh said on Thursday that the PA is considering taking “significant steps” in response to Israel’s decision to accelerate the construction of 2,000 homes in east Jerusalem, Judea and Samaria. Abu Rudeineh, who was interviewed on BBC Radio, said the PA will soon “change the Middle East” but would not provide additional details. Meanwhile, the PA’s representative in the United Nations, Riyad Mansour, has asked the UN Security Council to take action against Israel, saying the Israeli government in Jerusalem is “illegally stealing” the tax money it is supposed to transfer to the PA.
Mansour warned that unless Israel immediately ceases its actions, the already fragile situation in the region could further deteriorate. The Israeli decision to sanction the PA with the construction and freezing of taxes came after the PA was admitted as a 'full-member state' to UNESCO earlier this week. The PA’s foreign affairs minister, Riyad al-Maliki, told reporters in Ramallah on Thursday that the PLO will not apply to join any more international organizations but will focus on full membership of the United Nations, which is under consideration by the Security Council. 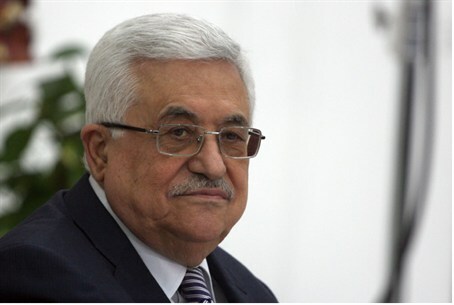 He said that if the bid fails, the PLO will keep applying for membership until Palestine is accepted in the UN and would not turn to the General Assembly. "We do not want, after all of these struggles, sacrifices, and efforts by the entire Palestinian people, to accept an observer state in the United Nations. We will not accept less than we deserve: a full member state," the Bethlehem-based Ma’an news agency quoted al-Maliki as having said. Earlier on Thursday, UN Secretary General Ban Ki-moon said that the PA should not pursue its plan to be recognized as a member state of the United Nations. Ban said that now that the PA has been accepted into UNESCO, it should be satisfied with that achievement. The reason for this surprising new view, according to Ban, is the financial hit the UN took when UNESCO approved the PA's membership. The U.S. and Canada immediately cut off funds to the organization, instantly lowering its operating budget by nearly 30%.